The town of Salou is tickled by the northwest, in the heart of the Costa Dorada of Catalonia, Spain. A few kilometers from Tarragona, it is popular among young people and families who want to practice every kind of sport. 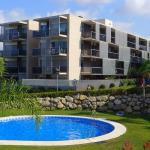 The city of Salou, only a few kilometers away from Tarragona, is located in the Autonomous Community of Catalonia. It has around 20 thousand inhabitants, and a very strong tourist vocation. The history of Salou is made by fishing and beach tourism, thanks to the sea teeming with fish and the particular position of the town, situated on the coast with beaches of fine sand. A beautiful Mediterranean landscape accompanies the visitor, who cannot fail to notice the breeze caused by the mistral wind, always present. And those who come by sea will find valuable and pleasant the marina of the city. Salou has developed in harmony with nature and its coasts, harmonizing environment and urbanization: for this reason it has deserved the title of "beach of Europe." A city tour can start walking along the Paseo de Les Palmeres, which runs parallel to the famous Llevant beach. All around here you will find valuable architectural treasures , such as the tower of Cal Bonet or the monument in honor of King James I. And when the evening comes in the heart of the city, the nightlife begins. Tourists in Salou are welcomed in modern hotel, and especially if you are on holiday with your family, you cannot miss to visit the amusement park, with adjoining Aquatic park, Port Aventura, structured to offer various themed geographic locations (Mediterranean, China , Mexico ...). This is the very attraction of the region. Everything pertaining to the sea has been emphasized in Salou, from food (excellent restaurants offering menus of fresh fish, not to mention the famous shellfish of Cambrils) to sports, ranging from sailing to diving . The cleanliness and beauty of the sea and beaches in the area of Salou, including Platja de Ponent, Platja Llarga, Cala Cranc, Platja dels Capellans, have been preserved by the inhabitants, and for this reason the city boasts a large number of European blue flags. 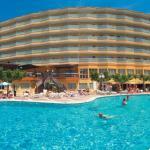 Residencial Spa Aqquaria is located near the famous Port Aventura theme park, shopping and dining avenues of Salou. All rooms are well equipped with plasma TV, kitchenette and living room with terrace. 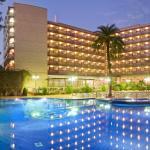 Medplaya Hotel Calypso is located in the heart of the magnificent resort of Salou, a few meters from the golden beaches. 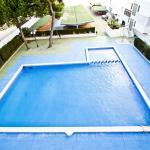 This fantastic hotel is ideal for adults and children who want to have fun all day.